"The U.S. Weapon-Grade Plutonium Shipment - Safety and Security Concern for the 'Eurofab' Operation in France"
"IAEA Requirements on Design Basis Threat Assessment – Non Compliance of Eurofab LTA Shipment from US to France on UK Vessel: Security and Physical Protection Issues"
Upholding the Plutonium Industry at Dutch Society's Expenses?" 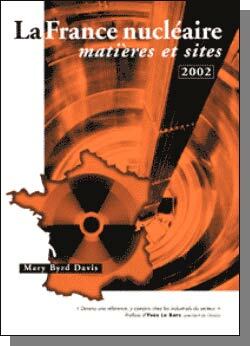 "The Unbearable Risk - Proliferation, Terrorist Threats and the Plutonium Industry"
"The Transports in the French Plutonium Industry, A high risk activity"
WISE-Paris, April 2001, 12 p.
WISE-Paris, April 2000, 26 p.
5th Irish & UK Local Authorities - Standing Conference on nuclear hazards: "Nuclear Safety and Security: Issues for Local Authorities"
Threat or opportunity for sustainable energy policies?" "International Terrorism - The Vulnerabilities and Protection of Nuclear Facilities"
Presentation submitted at the seminar " Représentation de la demande d’énergie à long terme : revue critique de la méthode générale ", INESTENE, Paris, 4 juin 2002, 12 p.
"The threat of nuclear terrorism: from analysis to precautionary measures"
"Democracies Faced with Mass Terrorism Meeting"
held at the French National Assembly, 10 December 2001. “ Shut down Sellafield ! Rapport fra konferansen om de radioaktive utslippene fra Sellafield”, Naturvernforbundet Hordaland, 20-21 mars 2002, Bergen, 20 p.
WISE-Paris, November 2001, 4 p.